We have the state-of-the-art, gold standard LightSheer® Duet. This laser hair removal procedure is a series of treatments for long-term hair removal. People wanting lasting results choose laser treatments to avoid shaving and waxing. 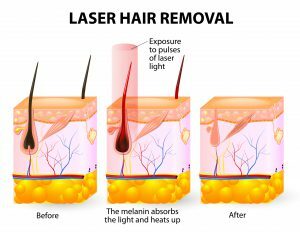 A laser is used on unwanted body or facial hair to heat the hair follicle at its base, destroying the hair follicle and preventing regrowth. Laser hair removal can keep an area free of hair for extended periods of time. Sometimes permanent results are achieved. 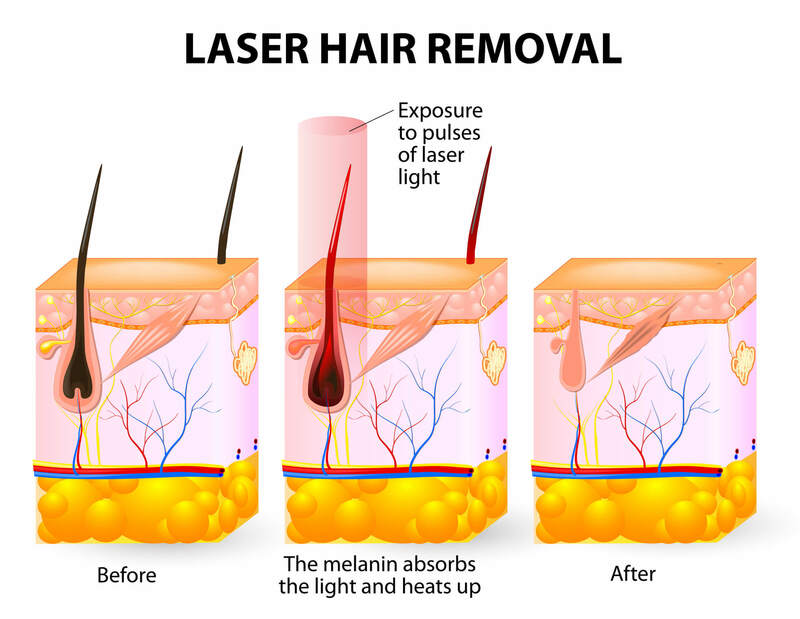 Laser hair removal causes a permanent reduction in the amount of hair in the treatment area. Hair follicles may be dormant for an extended period of time, becoming active for a variety of reasons: medications, stages of life, hormonal and medical conditions. This procedure does not work on blonde or white hair. The rule of thumb is the lighter the skin and darker the hair the better the result. It usually takes 4-6 treatments spaced 4-6 weeks apart. If you’re considering a laser hair removal, please call us (304) 255-0330 to schedule a complimentary consultation or contact Mountain State ENT & Aesthetics using the convenient online information form. We look forward to hearing from you and discussing your options.